Is Knuckle Cracking Bad & Can It Lead to Arthritis? People who crack their knuckles may irritate their friends now and then, but are they damaging their joints? Does cracking your knuckles cause arthritis? Although rheumatoid arthritis affects approximately 1.5 million Americans, many myths surround the chronic condition. Your patients may have misconceptions about the disease. Fibromyalgia is notoriously difficult to diagnose, but new research suggests that may soon change. Investigators compared clinician- and criteria-based diagnosis of fibromyalgia to spot potential diagnostic misclassification of the disease. Researchers examined whether smoking cessation may delay or prevent the onset of rheumatoid arthritis. Review their findings. 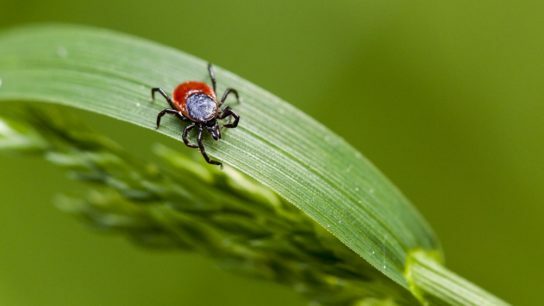 Myths about lyme disease may present a barrier to prompt diagnosis and treatment. As a clinician, you may encounter these 6 misconceptions. Researchers examined whether SSRI antidepressants diminish the pain reduction effects of certain opioids. Researchers at the University of Washington have developed a smartphone app that can detect when a drug overdose has occurred. A number of smartphone apps may help your patients manage their rheumatoid arthritis. We list the 5 best in 2019.